SRP brand custom aluminum racing pedals are model specific, not one size fits all. These pedals are made by the first company to make application-specific racing pedals, as well as the first company to machine racing pedals from billet aluminum. 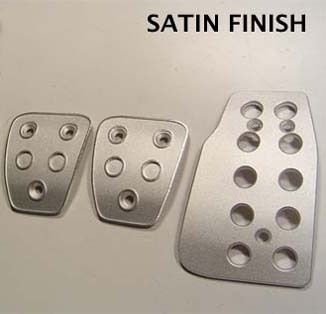 Satin, Cleat and Grid styles come with Satin Gas Pedal. Machined and Block styles come with matching Gas Pedal. 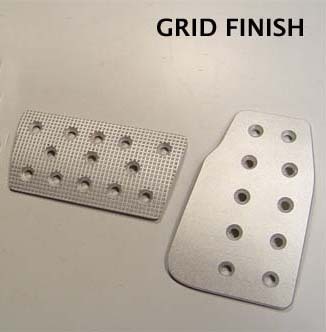 Also available with Dead Pedal cover.Click Here for details. CLICK HERE FOR PEDAL SET WITH DEAD PEDAL COVER.